Spring was in the air – as was an atmosphere of equality – when the women of Yemen took to the streets in protest during last year’s disturbances. But revolution has since faded into normality, and today the advocates of women’s rights in the country are challenged by increasing political Islamification. Ramzia Al-Eryani and Bilkis Zabara are two of the women, representing the academic world and the activist movement respectively, who are working to change the future for Yemeni women. “There’s no Arab Spring in Yemen – it’s more of an Arab winter”, explains Ramzia Al-Eryani (the photo above) when commenting on the current situation in Yemen. Ramzia Al-Eryani, chairwoman of the nationwide NGO Yemeni Women’s Union, and Bilkis Zabara, head of the Center for International Development and Gender at Sana’a University, are in Copenhagen to talk about the development in Yemen since the country’s women, side by side with the men, took over the central square in Sana’a in 2011. The square – which has since become known as ‘Change Square’ – was the centre of the revolution that resulted in President Ali Abdullah Saleh’s removal from power in November 2011. At the time, many hoped that Yemen would begin to embrace equality and modernity with the republic’s first democratic elections being held in February 2011; however, the country today remains plagued by economic instability and severe security issues. Following the elections, the post of president was taken over by the former vice president Abed Rabbo Mansour Hadi, who, in reality, was merely a puppet figurehead under the control of ousted leader President Saleh. Consequently, many Yemenis feel that they are still owed their first truly democratic elections. In particular, the Salafis’ (an ultra-conservative Islamic group who formed their first political party in March this year) surge in success together with the more moderate traditionalist Islah party has proved a challenge for the work promoting women’s rights. The challenges that have been thrown up by this are ones that both Ramzia Al-Eryani and Bilkis Zabara face in their work on a daily basis. “During the revolution, many women went down to Change Square to take part. This was something completely new in our country. Everyone believed that women’s rights would improve in the wake of the revolution, but we were in for a surprise. Now that the revolution is over – or rather has just disappeared completely – no one is asking the women and the young people in Yemen what they need. The women have been forgotten”, tells Al-Eryani. Nonetheless, both women are keen to get down to business and begin facing the new challenges. “We just have more work to do now”, is the women’s unanimous comment, and both agree that now is the time for each of them (representing both the academic world and the more practical side of things) to take action to create fundamental change for the women of Yemen. A key element for Bilkis Zabara is the spreading of information throughout the population as quickly as possible. During last year’s disturbances, the University of Sana’a was shut down for long periods. Now the university has reopened, but despite this, she fears that the Center for International Development and Gender in particular risks being shut down again. “That’s why it’s vital that we get the people on the streets talking. Often those who visit our centre think that it’s all right – but they also think a similar centre should be set up for men. To begin with, I didn’t understand this because our centre is, after all, for both women and men. But then it struck me that there lacks a fundamental understanding of what the word ‘gender’ actually means”, explains Bilkis Zabara. “There really is a basic need for information right now”, she reiterates. During the revolution, there was a great deal of focus on those Yemeni women who chose to speak out for women’s rights. In 2011, Tawakkul Karman was awarded the Nobel Peace Prize for her political work, and young women such as Afrah Nasser not only conquered the blogosphere, but also conquered the public sphere by participating in demonstrations and even going as far as drinking tea at a public café on Change Square. Internally in Yemen, the rhetoric has become more hard-line since the revolution. Religious and political leaders often raise doubt about the honour of those politically active women, and women who choose to work with men are accused of promiscuous behaviour. Since the revolution began, both Ramzia Al-Eryani and Bilkis Zabara have experienced receiving both indirect and direct threats and exhortations and have come in for sharp criticism. “They [Islah] send us booklets and pamphlets in which it says that a woman’s place is in the home, and that if a women lives an independent life, her children are probably illegitimate and God will burn her face. When I read these books, I can’t help thinking where our future is taking us and wondering what we can do to fight this”, tells Ramzia Al-Eryani. “I’ve responded to these with quotes taken directly from the Koran: ‘anyone who accuses a woman will themselves burn in Hell’. Afterwards, they have threatened that those women who choose to visit the Yemeni Women’s Union will be killed”, she tells. Both women laugh in exasperation. Despite the escalating violence in Yemen, and the establishment of hard-line political fronts, they know that such threats, for the most part, hold no substance. “We face a great deal of resistance, but we must continue working onwards. It may be true that many men think that we should stay at home, but we have to ignore this. I believe that women are much more focussed in that area and are prepared to go all the way”, stresses Bilkis Zabara. 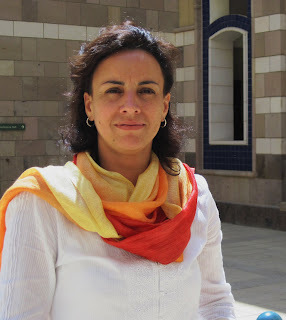 In 2010, Ramzia Al-Eryani was nominated by The International Alliance for Women (TIAW) as one of 100 women in the world who have made a major contribution towards improving the economic independence of women. 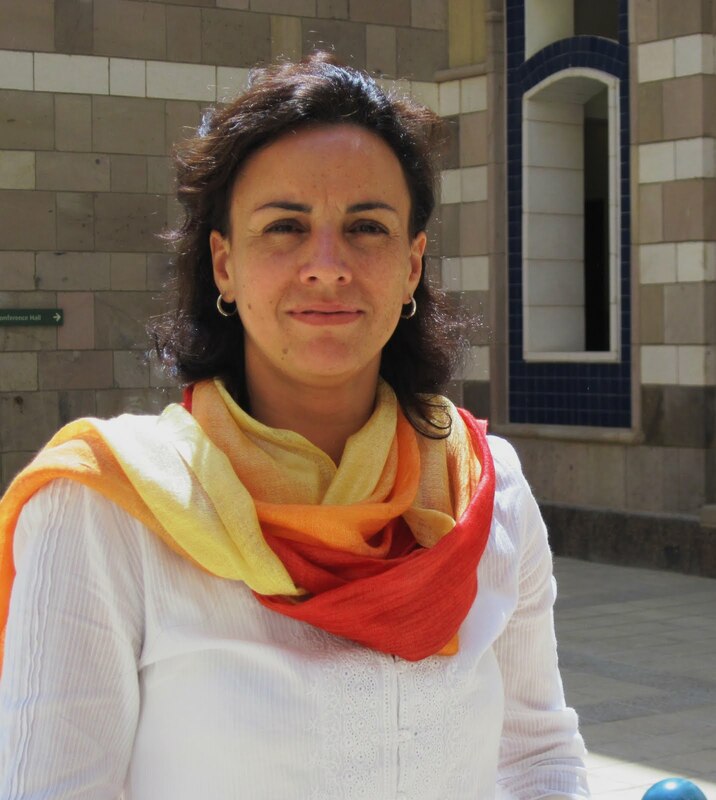 Much of her work in the Yemeni Women’s Union involves coaching women in taking out micro-loans, either on their own or as a group. In addition to educating women in basic schooling and IT, the organisation also carries out programmes that teach women how they can start up small business enterprises. All these initiatives contribute to improving the opportunities for women to become financially independent. At the same time, the YWU runs information campaigns that inform women about their rights within the family – many, for example, are surprised to learn that they have the right to education and the right to work. Furthermore, the YSU campaigns for a women’s right to receive alimony or maintenance, if her husband takes a new wife and leaves them destitute, or if the marriage is dissolved for any other reason. All women within society and from all regions are eligible to apply for funding from the Yemeni Women’s Union, which has a large network of volunteer lawyers and psychologists at its disposal. In rural districts, the organisation spreads information about family planning and informs of the risks associated with child marriages – a problem which remains a high priority for women’s organisations in the country. But not everyone is quite as enthusiastic about the organisation’s work as many of the YWO’s programmes challenge existing social structures; nevertheless, for Ramzia Al-Eryani it remains an issue of persevering. The struggle is long and hard, but that is the only way to get results. “Sometimes it takes years for people to understand how important it is for a woman to, for example, get an education, and that we need to change the conditions for the women in our society”, she stresses. An important strategy for Ramzia Al-Eryani is keeping the Yemeni Women’s Union free from political interests, thereby allowing unhindered work and ensuring the on-going existence of the organisation in the current political climate. “When the revolution began, many of the young volunteer women who worked for the YWU, enthusiastically took part in the protests at Change Square. I made it clear to all of them that they were welcome to demonstrate, but that they should do so on their own account; they should not go as representatives of the YWU. I have also refrained from commenting on the political situation in the media. It’s vital that the organisation remain impartial, independent and secure, so that we can continue our work irrespective of who is in power”, she points out. For Bilkis Zabara, the first priority has been to position the Centre for Development and Gender in such a way so that education and information can contribute to structural changes in the area of equality. One of the strategies that the Center for Development and Gender is working with is attracting students from both the government sector and from NGOs in Yemen. “We don’t yet have any equality specialists in Yemen. Many of our students have practical experience from their work with different organisations, particularly during the revolution, but they lack a theoretical background to understand and implement equality initiatives”, explains Bilkis Zabara, who continues to explain that it is precisely in such areas that the Center for Development and Gender can provide training. The greatest prerequisite for both of the women being able to continue their work is a stabilisation of the situation in Yemen. There are many weapons in circulation and the interests of both the religious fractions and the traditional tribal clans are at stake. In southern Yemen, Al Qaeda has managed to gain a strong foothold and holds a great deal of sway. Ramzia Al-Eryani fears that new disturbances could result in a situation bordering on civil war. “There are 18 months until our first truly democratic elections. But almost anything can happen to our country in 18 months. What will happen with the women of Yemen? What will happen to our civil rights?”, she asks. “We [the YWU] conducted a questionnaire in Yemen where we asked women what they wanted out of the future. Everyone answered that they wanted a safe place where they and their children could live securely and safely. Once we have achieved security, then afterwards we can work to achieve the rest”, concludes Ramzia Al-Eryani.